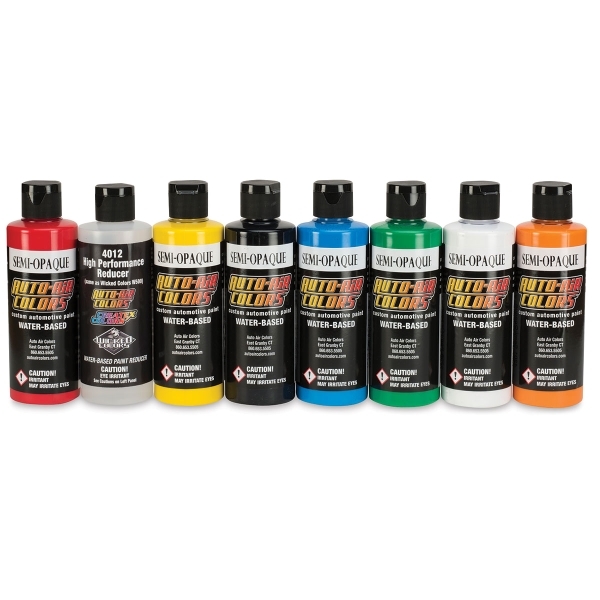 Featuring breakthrough waterbased airbrush paint technology, the 4200 Series Colors are the standard airbrush and graphic colors in Createx's Auto Air line. They're permanent, lightfast, and non-toxic. These colors can be used on metal, fiberglass, plastic, vinyl, wood, concrete, and glass. 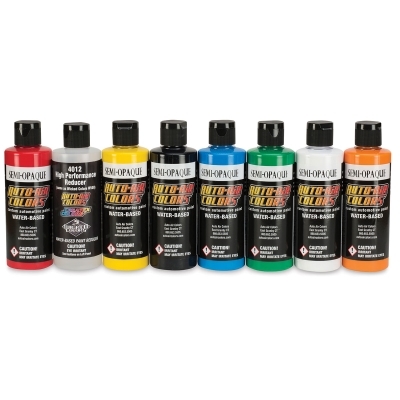 Semi-opaque with a semi-gloss finish, these airbrush paints are designed to be used alone over an AutoBorne Sealer. They're great for base colors and large coverage applications. Tint them with Transparent Colors by mixing directly or by layering coats of Transparent Color over Semi-Opaque. They can also be used as the underlying coat for other Auto Air Colors. In many instances, Deep Black can be used as a substitute for AutoBorne Sealer Black. 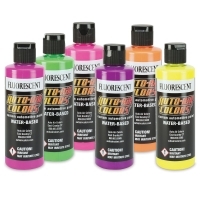 Semi-Opaque Colors work best with a large-tip airbrush or spray gun. 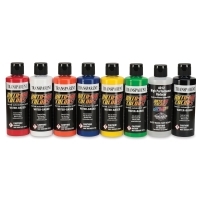 ® Createx Colors is a registered trademark.™ Auto Air Colors is a trademark. ™ AutoBorne is a trademark.